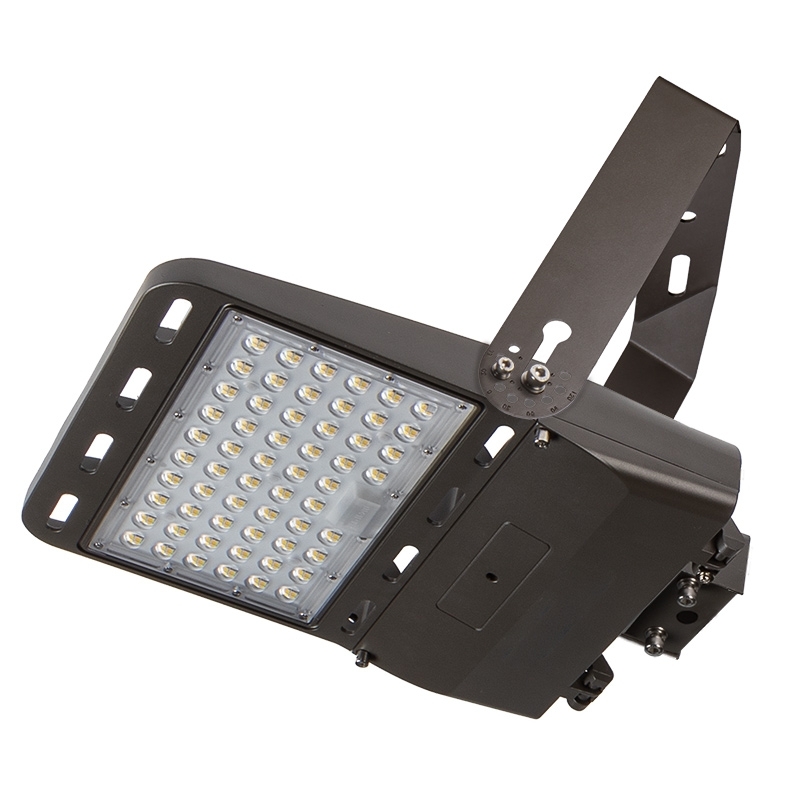 This LED flood light emits 14,000 lumens of natural white illumination and has a wide Type III distribution pattern. 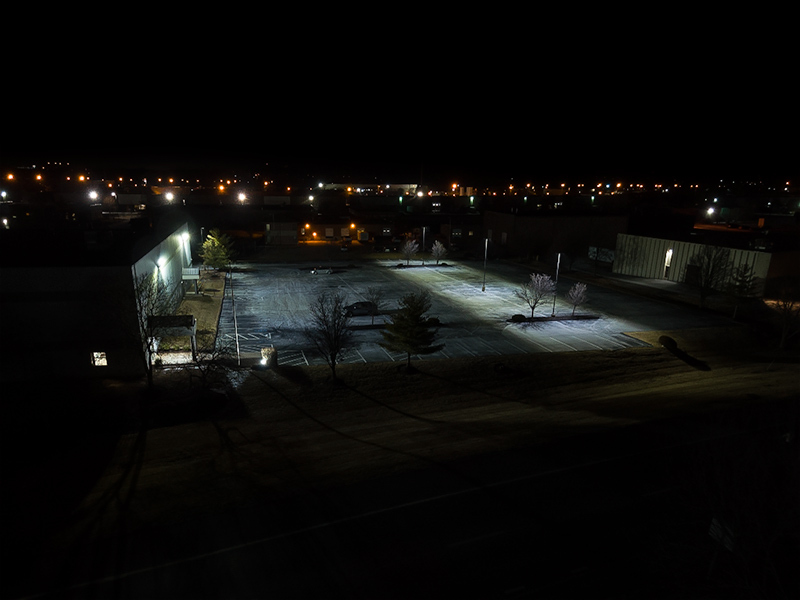 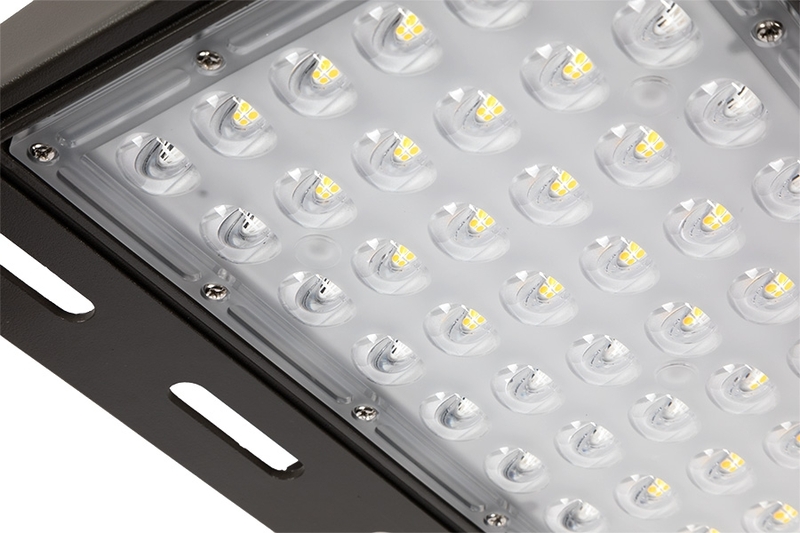 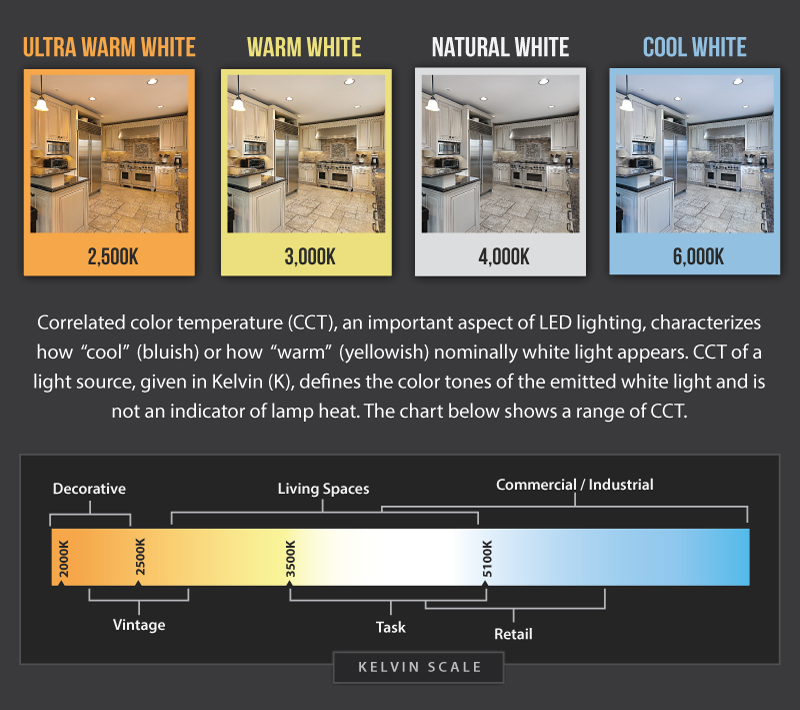 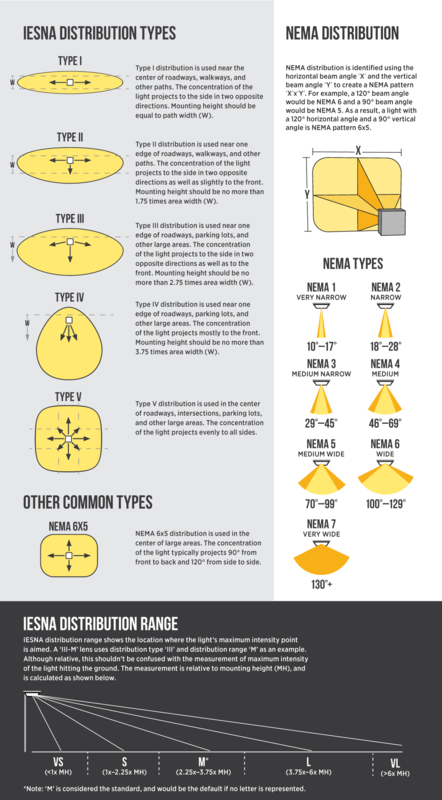 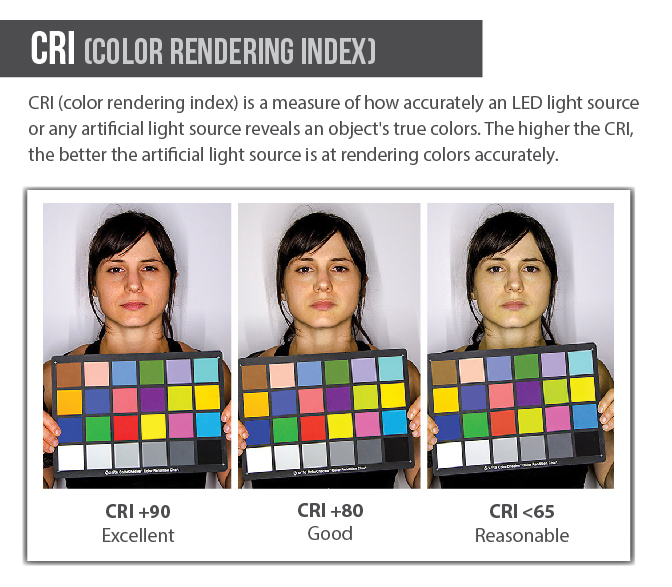 The 100-watt LED fixture is designed to replace 250-watt metal-halide (MH) lights with comparable output. 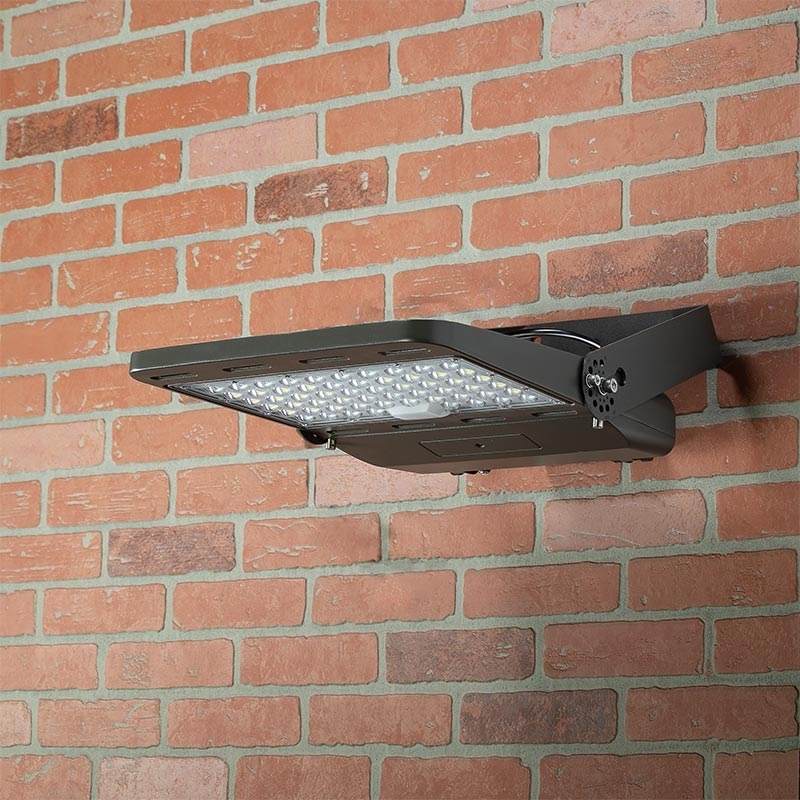 It has a weatherproof die cast aluminum housing with an integral heat sink and a polycarbonate lens. 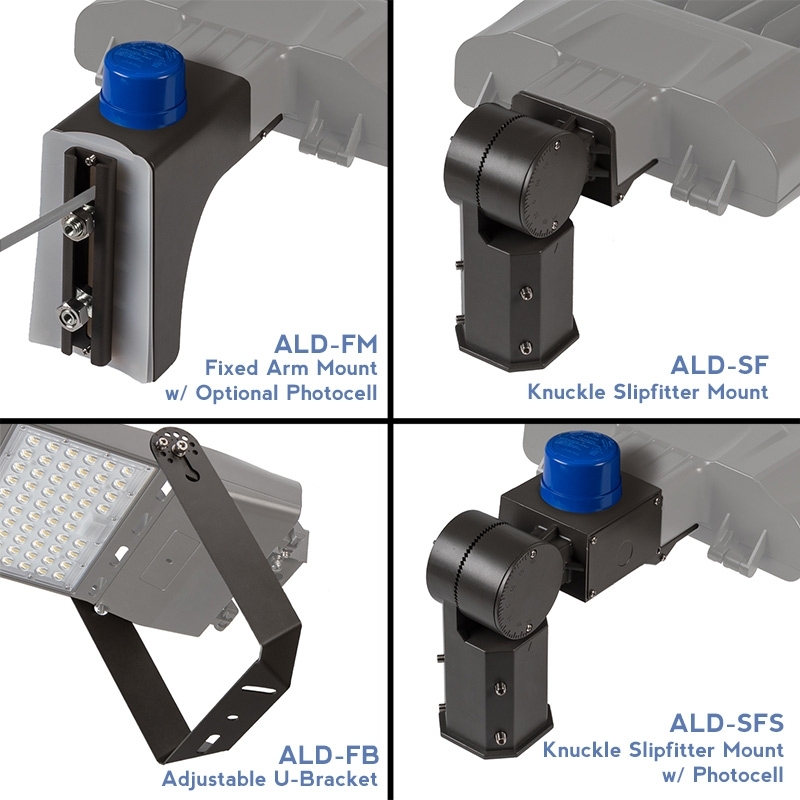 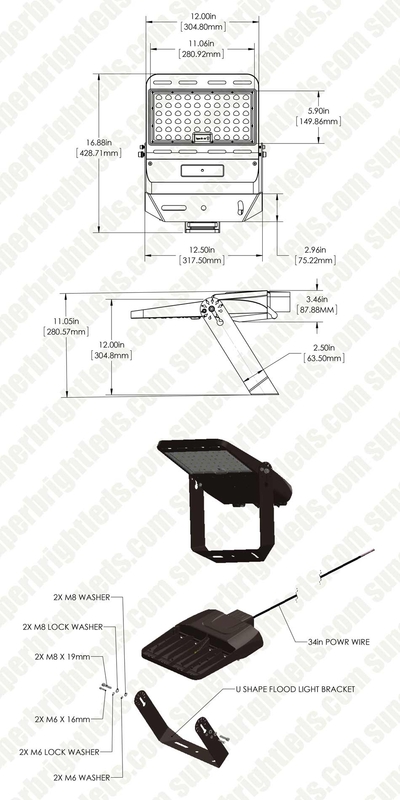 Use the included adjustable U-bracket to mount the light on the top or side of buildings or on the ground and direct illumination where it's needed. 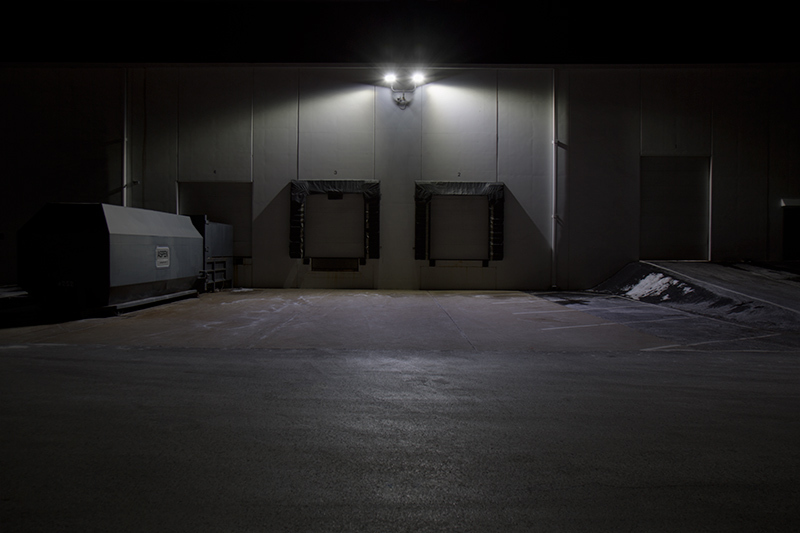 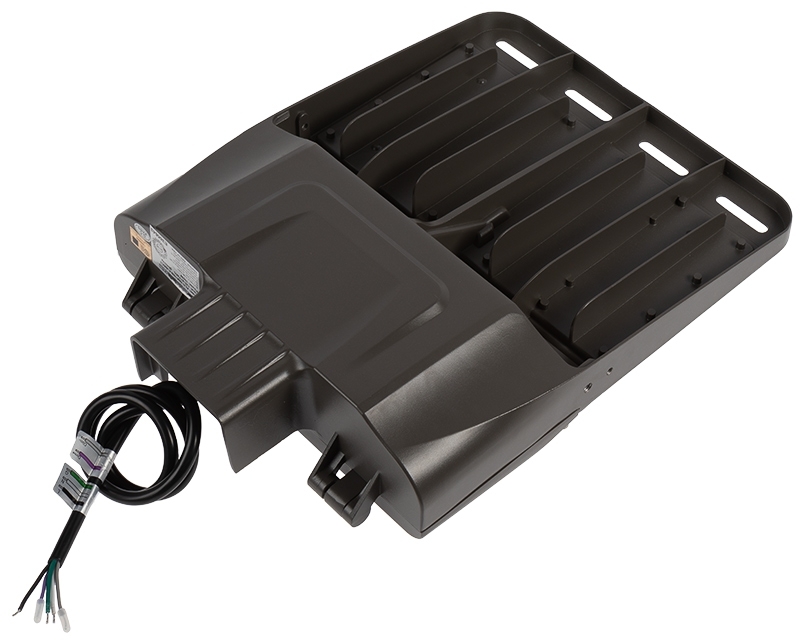 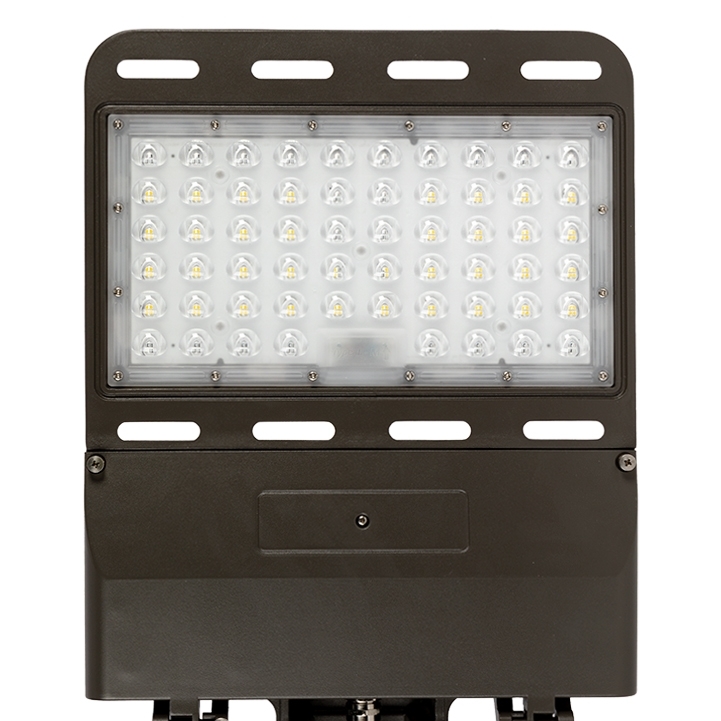 The LED flood light operates on 100-277 VAC and is designed to last 6 times longer than MH fixtures. 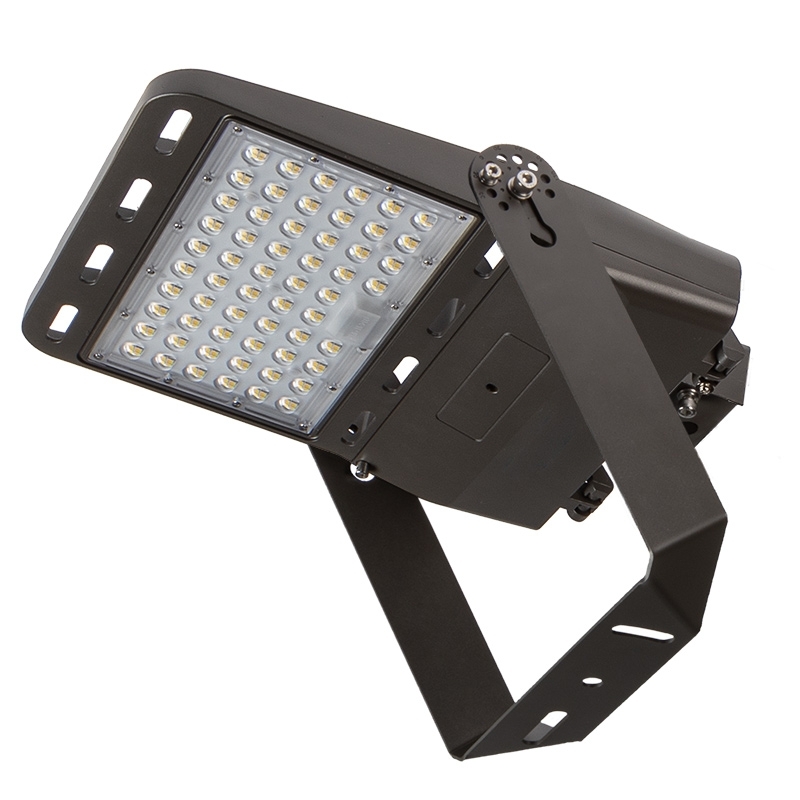 Use it for landscape lighting, tree uplighting, flagpole lighting, architectural wall washing, and more.